Very good long article in the New York Review of Books by Mark Danner, which reviews some of the decision making over the years in Iraq. As a near instant-history, this is very useful. To Americans the Iraq war seems to have entered its third and final act. Though the plans and ideas now will come apace, all of them directed toward answering a single, dominant question—How do we get out of Iraq? —none is likely to supply a means of departure that does not carry a very high cost. The present “sense of an ending” about Iraq has its roots more in American weariness and frustration than any real prospect of finding a “solution” or “exit strategy” that won’t, in its consequences, be seen for what it is: a de facto acknowledgment of a failed and even catastrophic policy. But foreign policy experts and politicians alike say there is no miracle elixir for Iraq; if there were, someone would have thought of it already. This seems to indicate that there is no room for further creativity, no space in which a new idea could emerge. While it’s true that the problem is non-trivial (otherwise it would be dealt with already), there is always the possibility of a new idea for a solution. Review by Chris Sorrentino in the LA Times. Update: I’m about 200 pages into the book, and so far at least I find the story-telling more straightforward than I was expecting from many reviews. Yes, there are plenty of characters, but things transition along pretty nicely, and often several chapters in a row stick with the same characters. What it all means it’s too soon to say; certainly there are plenty of passages that seem to be commenting on the current day while being nominally set in the past. By Curt | Posted in Books | Comments Off on Pynchon Unleashed! A note for the passing of Robert Altman. 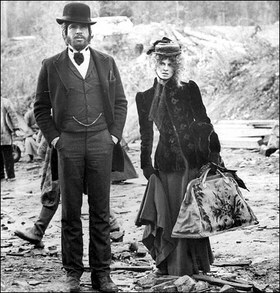 I’d say my favorite of his films is “McCabe and Mrs. Miller” (1970), the wet western of the Pacific Northwest, with the melancholy Leonard Cohen score. I found the photo on this blog by Theresa Duncan, which features lots of good images and posts. By Curt | Posted in Film/TV, News | Comments Off on Robert Altman, R.I.P. 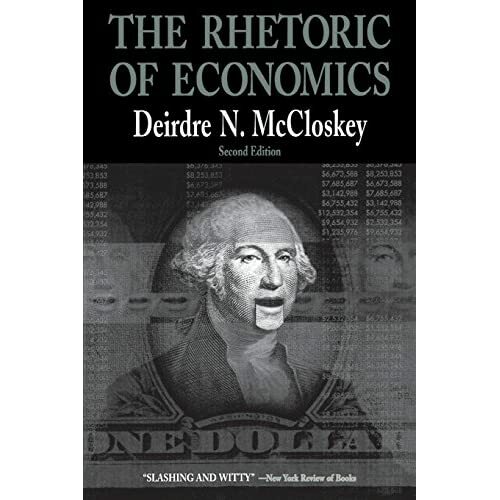 McCloskey‘s book is in effect an extension of Paul Feyerabend’s arguments (see this earlier Mediated post) about science taken into the realm of economics, with a good helping of classical rhetorical analysis as well. McCloskey takes a close look at a number of economics papers, looking at the ‘tools of persuasion’ used in them, and also analyzes the standard economic positions (about rationality, econometrics, etc. ), and finds them lacking in self-awareness about economics as a social form that involves plenty of argument and persuasion, not self-evident ‘proofs’. I think she’s got a point. Got a tip to check out Juana Molina, and I’m very glad I did. Her 2006 CD Son is really good – combining elements of electronics, layered voices, and ‘folk’ singing. This is her fourth album, and it’s mellow yet rewards deeper listening. While in San Francisco last week, a highlight was a talk by Paul Stamets, a mushroom expert and author most recently of Mycelium Running, a summing up of his knowledge. Mycelium is the underground fungi network that is pervasive in nature, and it appears to have some amazing properties in terms of its role in creating healthy soil and perhaps even its ability to ‘digest’ toxic materials. I’ve just started the book, and it is truly mind-bending in its scope. Check it out! New book that is not exactly cheery about our global situation. Thomas Homer-Dixon does a nice job in “The Upside of Down” of synthesizing quite a lot of information, both current and historical, about change and crisis. He sees five “tectonic stresses” that we face today, including climate change, energy scarcity in oil, population pressure, and income gaps. His argument is that our overly complex and ‘brittle’ systems cannot withstand the pressures that will come to bear from these stresses. His argument in part uses the Panarchy model, which describes cycles of growth, collapse and re-growth in ecosystems, and talks about how mature systems start to become so ‘efficient’ that they lose resilience and become liable to collapse. Homer-Dixon argues that we are getting to the same situation, where our long reliance on growth and efficiency are making our society less resilient to change, setting the stage for serious problems. His path out is probably a difficult one, but it involves making attempts to build resilience back into the system, through more localized and redundant capacity. The historical parallels with Rome are interesting, as he paints a picture of a civilization that sucked resources from vast areas to feed the central system, and it ran into a decreasing return on investment for its efforts at getting food and fuel, until things broke down. He acknowledges that there are plenty of explanations for the decline of Rome, his being just one of them. His book provides one of the few analyses of the downside of ‘economic growth’ that I’ve come across, and it does appear to be a vicious circle that we really have no viable alternative to at this point – a real surge of imagination is needed to point to a new model. I’ve been listening to a couple Ornette Coleman releases lately, a new one and an old(er) one. The new one is a live set called ‘Sound Grammar’ from his current quartet, with two bassists and his son Denardo on drums. 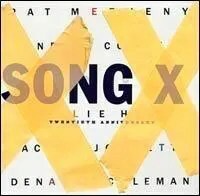 The old one is the 20th anniversary re-release of ‘Song X’ done with Pat Metheny, Charlie Haden, Jack DeJohnnette and Denardo Coleman. Pat went back and added tracks to the release and it all sounds very good (however, there may be a pressing problem, because on two CDs I’ve gotten the last track does not play all the way through correctly). I remember listening to this when it came out, and finding it a bit too intense, but now it sounds just about right (parts are certainly intense!). Check this blog entry for cool links on Ornette! (I also snagged the great Ornette photo from this fellow Colin Buttimer). By Curt | Posted in Music | Comments Off on Ornette!